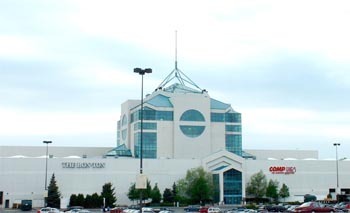 The main course in the Syracuse area is the Carousel Center, the Pyramid Companies‘ 1.5 million-square-foot, seven-level flagship mall built in 1990 on Syracuse’s lakefront; the mall that caused a half dozen others to close. Don’t let the Carousel Center’s relatively-modest square footage fool you: this is a very, very large mall complete with its own zip code and possibly the biggest tourist attraction in all of metro Syracuse. 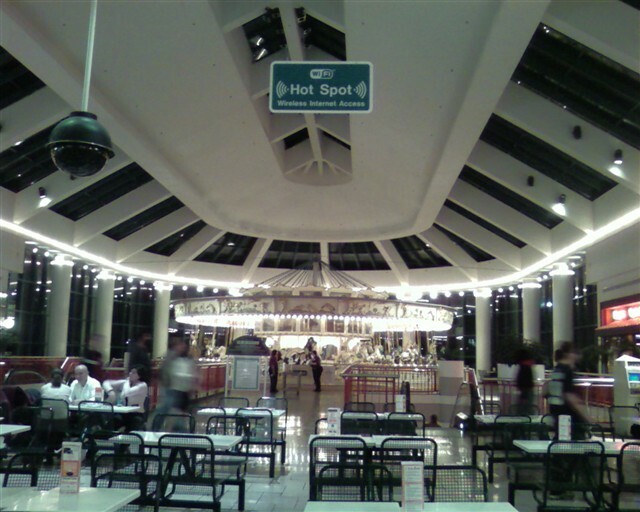 At its core, the Carousel Center is organized in a relatively typical fashion, with two main long levels spanning between two large anchors, and a trio of cross hallways leading to other anchors, a food court, and movie theatres. There’s also a basement level only in the mall’s center court that provides access to the parking lot tucked underneath the mall and also hosts a slew of junior anchor tenants. 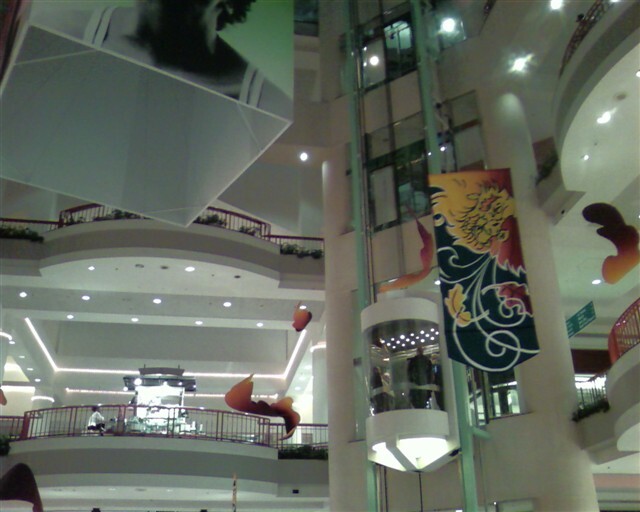 More unusual is the mall’s upper floors, which only appear in the center court. The mall towers seven stories high, and the upper floors of the Cathedral-like spire are reserved for rentable event space called DestiNY USA. There was once also a skydeck on the top floor but this apparently was turned over to office space for DestiNY USA employees at some point. One of the coolest design elements was one that proved difficult to photograph. Most of the main corridor of the mall featured a canopy-styled canvas roof, which we’ve seen a couple of times before. But this was punctuated on each of the cross hallways by a lightbulb-studded skylight that was actually higher than in the main mall, creating a very strange (and neat!) effect. If you look at the satellite image, you can sort of make out how the ceiling for the cross hallways is notably different than for the main concourse. 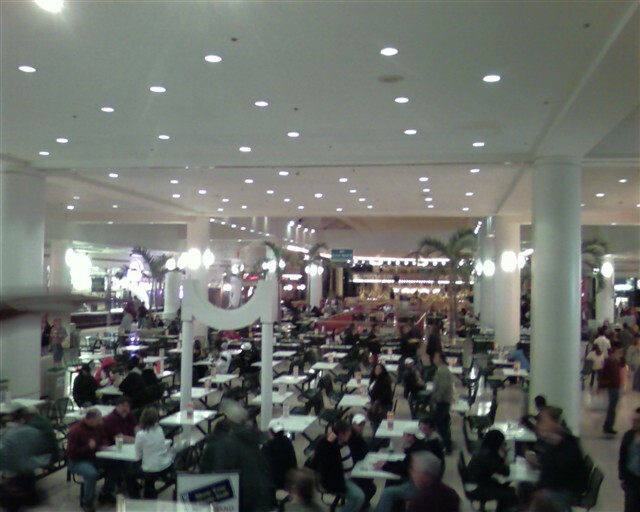 The mall’s current anchor roster is very impressive: Macy’s, JCPenney, Lord & Taylor, The Bon Ton, a two-level H&M, Sports Authority, Old Navy Borders, DSW Shoe Warehouse, Regal Cinemas, Best Buy AND Circuit City all occupy space within the mall. 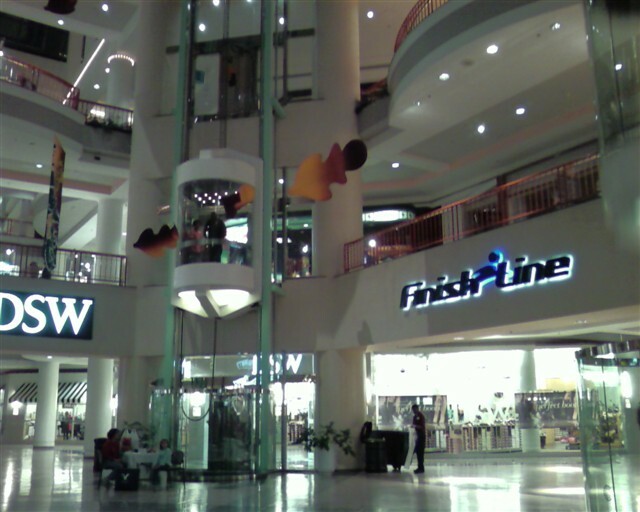 In addition, the mall has in the past been the home of Hill’s/Ames, Chapell’s, Lechmere, Steinbach, Kaufmann’s, Nobody Beats the Wiz, HomePlace, Bonwit Teller, and CompUSA, the latter of which was in the midst of a closing sale during our visit. The Carousel Center’s Wikipedia page has a lot of the coolest information on the mall already, but retail buffs would be interested to know that Carousel Center was the home of the very last Bonwit Teller store. Mall developer Pyramid Companies purchased the struggling retailer in 1990 when Carousel Center was under construction to prevent them from folding, and thus costing Carousel Center its most upscale marquee tenant prior to even opening. 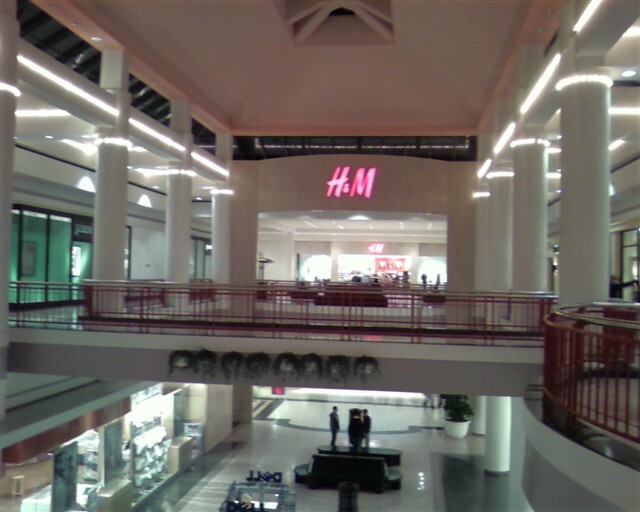 The store closed in 2000 and was replaced by H&M. We visited this big, bustling mall on a Saturday night, which made it nearly impossible to take any exterior photos. It was worth it, however, because there’s just nothing quite like hanging out in a big, bustling mall on a weekend night, and in the Syracuse area, Carousel Center is clearly “it.” I was prepared to hate the place for no other reason than that it killed off so many other malls, but I admit that I was somewhat weak in the face of its charms. 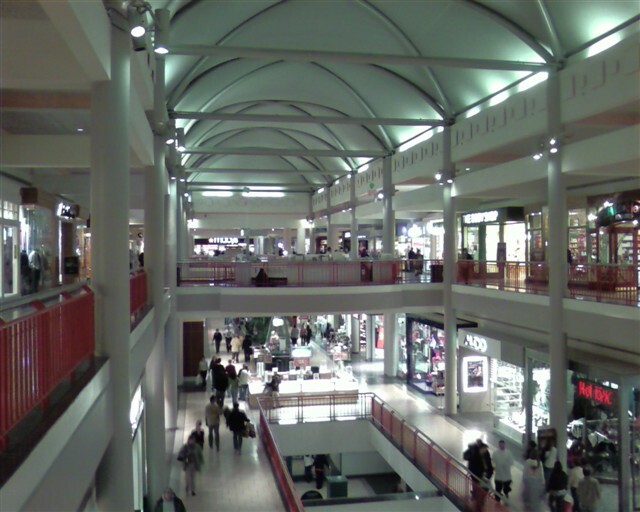 Astoundingly, Carousel Center’s future as a mall is in question. 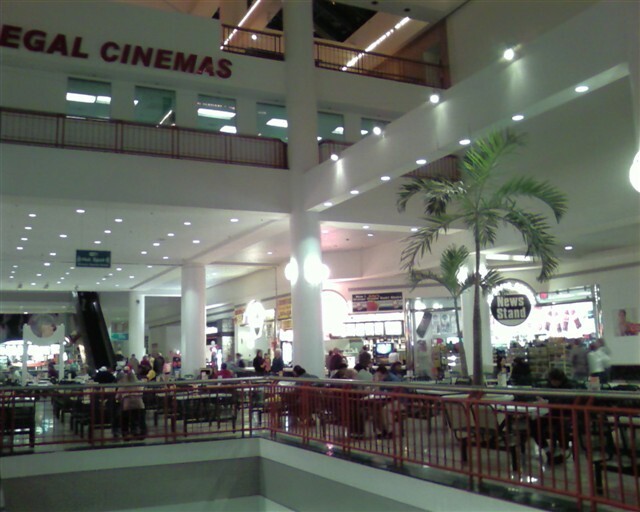 In 2002, The Pyramid Companies announced a plan to expand the Carousel Center to be the largest entertainment and shopping destination in the United States, surpassing The Mall of America in Bloomington, Minnesota. Called DestiNY USA, the overall expansion would bring the center’s total square footage to 4.5 million square feet, including 20,000 hotel rooms, an indoor aquarium, a stadium and performing arts center, an indoor recreation of the Erie canal, three golf courses, and a 100 acre glass-enclosed indoor park. The Pyramid Companies promise the new development would create 120,000 new jobs (!) both here and in a nearby tech park to be part of the project, and would and serve as the largest tourist destination in all of Central and Western New York. Of course all of this new development doesn’t include much mention of retail. In fact, the Pyramid Companies are attempting to cancel the leases of Macy’s, Lord & Taylor, and JCPenney via eminent domain to redevelop the property. 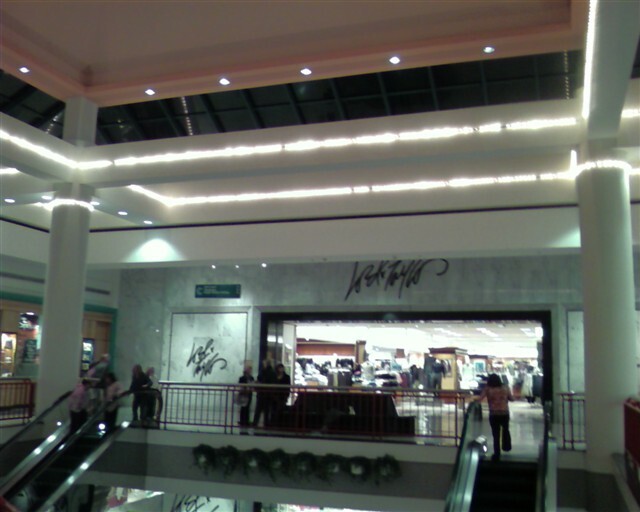 While there would be a new place for them in the completed Carousel Center, Federated Department Stores, owner of both Lord & Taylor and Macy’s, seems to have grown increasingly bitter over the prospect of the redevelopment. An analyst for the company has recommended they exit the center if the redevelopment goes forward, due to concerns about diluting the center with non-shopping patrons and the impact of the redesign on their store layouts. So while it is possible that the future of the Carousel Center is bright and that it may be an almost Disney-like tourist attraction, in the end it may be somewhat less of a “shopping mall”–especially ironic considering that it flattened a handful of its competitors in the past 16 years. Doug Powell once sang that “Video killed the radio star but then committed suicide,” and that’s a particularly apt description for the bizarre conclusion that Carousel Center is headed towards today. Wow! I thought that was the control deck of Battlestar Galactica! Awesome pics! Caldor, thank you for another excellent post. Personally, I feel it would be a stupid move for the mall to continue with its plans to become an entertainment complex. (Although I admit that I am not privy to any financial information that would be relevant to this decision.) As was mentioned, this would cause many of the department store anchors to close their doors. 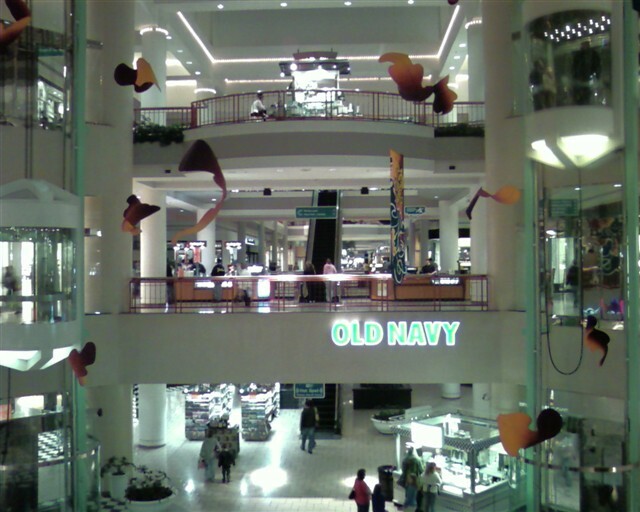 If they really want to compete with the likes of the Mall of America, they should use their expansion plans to create more retail space (and hopefully add some new anchors–such as Sears and Boscov’s–as well). However, if I was the executive in charge, I would simply leave well enough alone and avoid taking any risky expansions altogether. @XISMZERO, Crossgates had a Hooters at one point – it had an exterior location but could be entered from within as well. (It’s the current Ruby Tuesday spot). This is the only mall I have ever been in that had both a Best Buy and a Circuit City in the same place. Also, you forgot to mention the large Bally’s Gym that serves as a junior anchor in the section of the mall with the Best Buy/Circuit City. I can’t see the logic of DestiNY though, especially if it means Macy’s will jump ship and possibly Lord & Taylor. 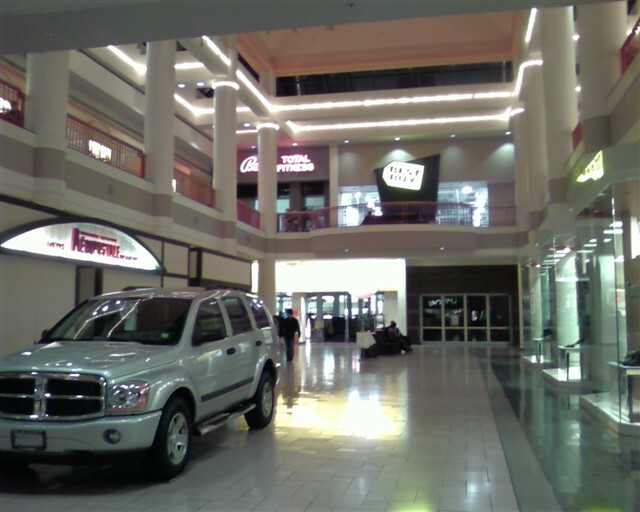 It’s possible to still have a great mall without them, but it makes attracting customers harder without them. Further, creating something more huge and encompassing when the mall is already so huge and encompassing could be a major disaster. I actually read somewhere that mixing big box and typical department stores, as well as both high and low-end stores, was part of the original marketing plan for the mall. It’s quite prescient for 1990; at the time no one thought it would work, but now it seems to make perfect sense to build a mall for *everyone. * At the time, the thought of putting both Hill’s and Bonwit Teller into the same mall was quite edgy. but as a poster said about more retail space, sears wouldn’t come as sears s getting out of the mall scene. I wonder if nordstrom, Ikea and neiman macus would come. the only nordstroms in the state are around NYC. but syracuse looks rundown and someone ran to my car when I Was lost in the bad neighborhood. I’ve been wondering the exact same thing for years, since the development of Carousel was supposed to lead to a redevelopment of the harbor area to the west of the Mall. 16 years later and the area is as dead as it was when the oil tanks were located there before the mall opened. WHere will the 75 million people come from that DestiNY, since with Edmonton and the Twin Cities, you have little within 5 hours of the place to serve as an alternative, where with Syracuse, 5 or 6 hours will get you to NYC, Toronto, or Boston, and when I think of places to spend a long weekend, Syracuse is not on my short list. You guys who are scratching your heads over Destiny are leaving out one crucial part of the equation–this monstrosity is in line for millions of dollars in subsidies from taxpayers. If this were built with private funds and it failed, that would be a shame, but if it gets built with public funds and it fails, it would be a boondoggle. Amending what D Fife said, areas around the mall looked a little bombed out and troubled. I got off the wrong exit (due to my hotel’s stupid directions) and ended up having to find my way through the streets of the city. Seeing the Carousel Center was like a beacon (of hope). If I ever come back to the big S upstate, I will most likely come here and avoid the Great Northern Mall (the closest competitor?). I think Pyramid should WAY downscale Destiny USA. Maybe a mid-range hotel (think Holiday Inn), keep the aquarium, scrap the waterpark, scrap the glass enclosed park, the indoor recreation of Erie Canal, the stadium, the performing arts center, the golf courses, and the indoor lake. Just how many stores does this have, anyway? Destiny USA is the ONLY thing Syracuse has going for it!!! 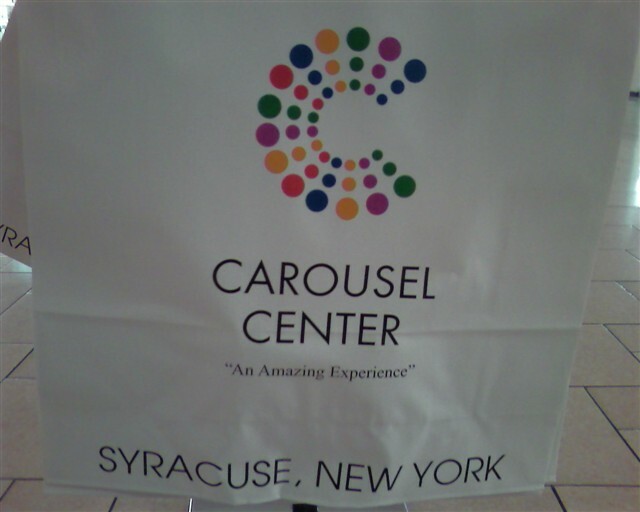 The truth is, Carousel Center seems to have sucked the life out of Syracuse. DestinyUSA might make it worse. My thoughts exactly. I’m a native of the CNY area, and Carousel killed Penn-Can Mall (which I frequented a lot when I was little) and nearly killed Great Northern (which is now the closest mall to my mother’s house, at a 10 minute drive- if that mall ever dies, we’d be screwed- Carousel is about a half hour drive from home! ), and if DestiNY USA screws things up, I think the whole CNY area is going to end up dealing with the consequences. @jonah – I don’t know how many stores Carousel has right now, but since this article was posted, the DestinyUSA project was basically split into three phases. The Syracuse Common Council and the Onondaga County Legislature have approved what’s called “Phase One” of the DestinyUSA project. That’s basically an expansion of the mall and the construction of a hotel. The entire thing was a big deal leading up to the city/county decision, but now it’s kinda quiet and “there” as the construction slowly progresses. I have a feeling it’ll be years, if ever, before we see this indoor amusement park and all the other stuff they mentioned. Of course, whenever you want to do something big like this, you ask for permission to do more than you actually want, because no matter what you ask for, some of it will be somehow forbidden. It’s like buying a car… you give a really low offer, knowing the dealer will counter with a high number, and you squabble until you meet somewhere in the middle. But if you started in the middle, you’d wind up being dragged higher. For those who want to see a lot of pictures and video from the “original” malls in the area, check syracusenostalgia.com … great site. Lots of photos from within the old Penn-Can Mall and other malls. As for Great Northern, it survives mostly because it is closer to Oswego County than any other mall. Helping Great Northern stay relevant, there’s been much retail development nearby along Route 31 in recent years. Unfortunately, as is usually the case, some of these strip malls always seem to lure certain retailers OUT of the mall… but I still think the mall’s doing better with the nearby strip malls than they’d be doing without them. Wow, I just noticed the canvas roof. So far, the malls with that include The Mall at 163rd Street, Buckland Hills, and the now-demo’d University Mall and Town & Country Mall. There might be more. Jonah: Also Poughkeepsie Galleria (Dutchess Co, NY) and Galleria at Crystal Run (Middletown, NY in Orange Co) have canvas roofs. Both were built around the 80s, both are Pyramid Cos malls and both are the only worthwhile indoor malls in their respective counties. The Syracuse Post Standard, your source for all the updated news on DestinyUSA, if any of it ever actually gets built. Okay, part of it is getting built, at least. It’s definitely an ongoing soap opera. The new expansion is called Arendi. I wonder if Arendi will have the Made In Italy section. So Carousel Center is basically Pallisades Center, but much nicer-looking and with The Wiz, Comp USA, Circuit City, and Best Buy all located there. Hillarious. I’d love to see an update once it gets built. The whole thing also got a fairly ugly green color scheme…literally! Arendi: Latest expansion to open this year. Still not too much is known about it. The original anchors (counter-clockwise) were Lord & Taylor, Bonwit Teller, JCPenney, and Kaufmann’s. The top two anchor-boxes were not two-level. The one near Kaufmann’s (later Macy’s) on the lower level was Lechmere. It later became DSW and Kaufmann’s Furniture Gallery. DSW later moved and became Circuit City. Macy’s closed the Furniture Gallery. Now the entire space is vacant. 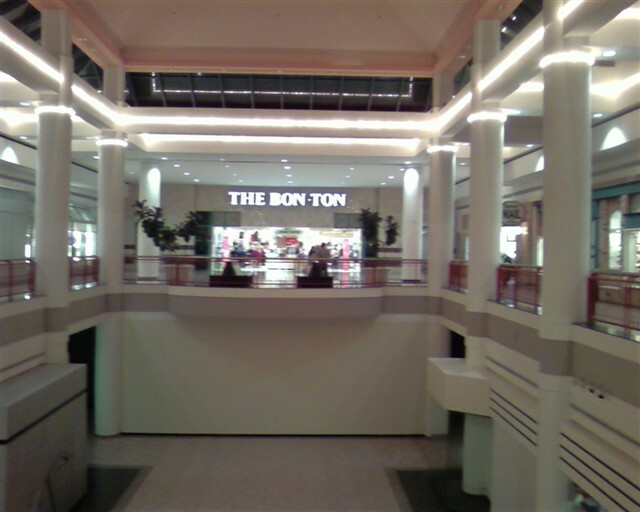 The one near Lord & Taylor on the upper level was Chappell’s, which converted to The Bon-Ton in the mid-1990s. Steinbach was the one near Kaufmann’s in the upper level. Now Bally Fitness and Best Buy. Bonwit Teller closed in 2000 and is now H&M. The Commons level stores include DSW, Old Navy, Finish Line, and the old Steve & Barry’s. So when Arendi opens, Carousel will be 4th largest in the USA (no more “modest square footage”), likely being under KoP, MoA, and South Coast Plaza. 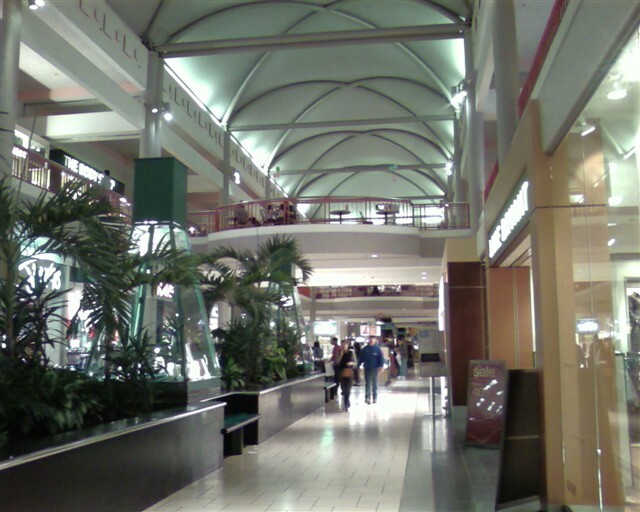 Millcreek, Aventura, Sawgrass, Galleria, Roosevelt Field, and Woodfield are bumped down. Don’t know history of stores in the Common level. There was once a pharmacy in the commons level called Xpress Place (formerly The Rx Place) that closed in 2001 when the parent company Phar-Mor succumbed to bankruptcy. Not sure the replacement. Steve & Barry’s was a place called Kahunaville…which lasted from 1997 to 2004 and replaced Nobody Beats the Wiz. Kahunaville was described as being a cross between Rainforest Cafe and Dave & Buster’s. Oh man, Kahunaville was a fun place. It was just like you said, a surfy-D&B-themed place. I remember the dump and oil tanks that used to be on this site before the mall was built. We “affectionately” used to call it “The Kill-Us-All Mall”. They’ve been talking about the whole expansion/development for 20 years that I can think of. It will be interesting to see how much ever gets built. “Syracuse (WSYR-TV) – Destiny USA is in a desperate fight to keep its Carousel Center expansion project moving forward. After already putting in $85 million, Citigroup has cut off funding for the project, and isn’t hiding its reasons for doing so. While I predict the mall will open eventually, I expect it to be like Forest Fair…an odd mixture of whatever can be found. I have to say, the new color scheme they have going on in the mall is not attractive at all. I realize that Pyramid is jumping on the “go green” bandwagon, but they don’t have to pain the mall the darkest green and brightest yellow possible mix. I get headaches whenever I am in there at night. I miss the old white color and the red railings. It just looks ugly now. I too agree that the huge resort plan is a bit much. I liked the original plan: merely an expansion of the mall. All this added on stuff seems to be too much. Not only that, but New York won’t do anything to assist. Good luck trying to get a decent road built in this state. Alas, with the bank cutting off the funds, it may not happen anyway. JCPenney and Macy’s tried suing recently, but to no avail. That article can be found on the http://www.syracuse.com page. This mall reminds me of Palisades Center Mall in West Nyack New York. It does have a carousel and a ferris wheel. whats the status with DESTINY USA? There’s absolutely nothing happening with Destiny USA, although Carousel itself trundles on seemingly none the worse for wear (well, except for the hideous neon green paint scheme and general “greenwashing”). Huge amounts of empty construction consisting of mostly blank concrete walls with no windows. Nobody in Syracuse believes it will ever be built. Destiny USA IS opening (although not quite to the extent of the original plan), and a part of it is already open. The information in this article is partially incorrect and woefully out of date. 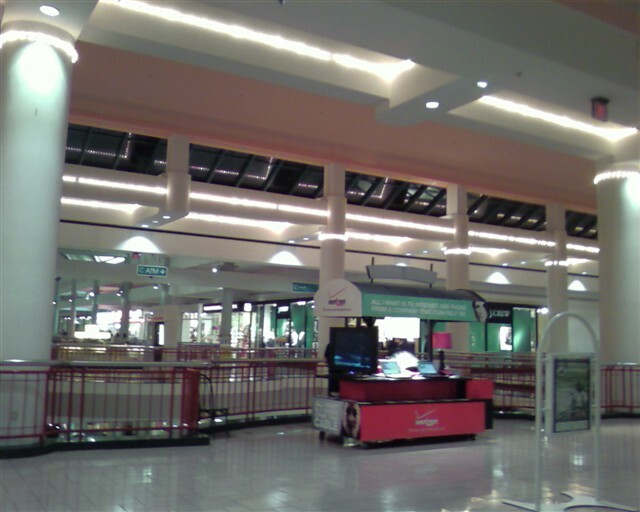 In spring 2012, Carousel Center WILL become Destiny USA. This article needs a MAJOR update. First off, the original plan (when this article was written) was to include a bunch of shops in the addition, each with their own themes (the DeadMalls.com entry, added relatively recently, shows this)…Destiny USA would have about 400 shops. Anyway, Destiny USA’s website currently is just looking at opening the 800,000 square foot addition in time for spring 2012 (of which that time CC will be renamed as DUSA). Currently, the tenant list includes some upscale tenants (Lenox, Hartmann), outlet tenants (Wilsons Leather, Off 5th), and regional restaurants/outlets (Toby Keith’s I Love This Bar & Grill, Aja, Revolutions bowling alley). Seems like it just might work. Can’t say I like the decor too much. Sears at the Middletown Galleria closed. Macy’s is closing too, because it’s on the other end.